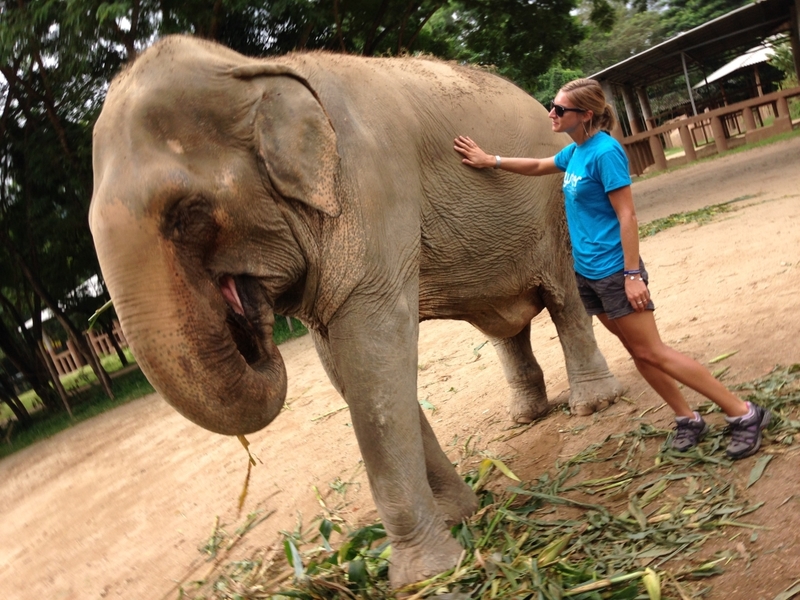 In November 2016 I was lucky enough to return to Chiang Mai, where I would be based for several days whilst I visited several elephant volunteer projects in the area. Not only was I excited to meet more elephants on some inspiring projects, but I was keen to explore Chiang Mai once more. 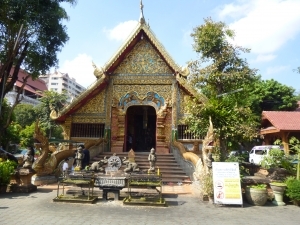 I had last been to Chiang Mai in 2011, and was amazed by how much the city had changed in that period. 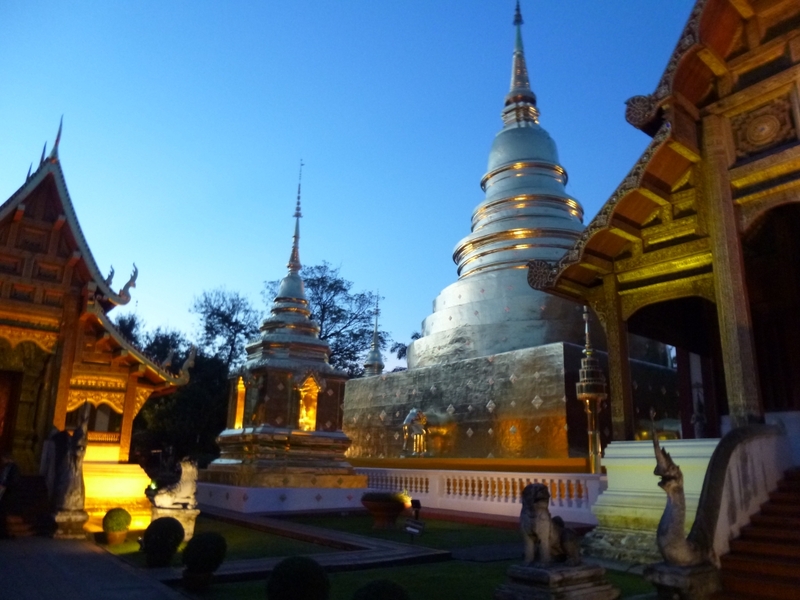 Chiang Mai is a fantastic city for holiday makers, gap year travellers, backpackers and families. It is bustling and vibrant, with night markets taking over the city after dark and with temples just every few metres wherever you walk. People are friendly and smiling, and the food is delicious. It is a city that you can really take pleasure in walking around, simply for the pleasure of doing so. It has certainly grown in popularity over the years, and is now almost bursting with international travellers keen to enjoy its laid back vibe. You can enjoy its Buddhist culture by listening to the monks chanting in the temples and taking in the intricacy of the buildings. You can explore the tiny side streets, with their niche shops and fascinating mix of businesses. You can also enjoy some of the incredible restaurants that are popping up all over the city, allowing you to get to know far more than just Pad Thai and Green Curry. Whilst I was exploring the city and all of its nooks and crannies, I was keeping an eye out on the elephant tourism options in the region. When I was last here, there were maybe 20 or so different elephant camps that you could visit to go trekking, watch the elephants paint and play football, bathe the elephants in the river…. As I walked, I collected in excess of 50 leaflets for different types of elephant experiences. I was amazed by how much this industry had blown up in such a short time span, and was concerned about the education of tourists in the area. Sadly, not all camps are kind to the elephants, and this type of tourism is certainly not natural for the elephants. Living in the wild, elephants are grazing for about 16 hours per day. Their digestive systems are poor, and they need to take in a lot of food – about 250kg per day – to be able to sustain themselves. When they are working in tourist camps, they are often busy working for 8 hours per day. When they are not working, they can be kept on concrete floors chained to poles. Whilst they will have food cut for them and brought to them, this does not allow for their natural foraging, and often they will not receive sufficient vitamins from the foods that they are given. It is important that if you are exploring Chiang Mai, and if you are keen to do some elephant tourism, that you thoroughly do your research first. Increasing numbers of tourists are doing their research – sadly still not enough! – and are turning towards the kinder means to experience elephants. Through volunteering with elephants, they are able to make a genuine contribution to the well-being of the elephants and also experience the joy of being close to these gentle giants. Oyster hand picks all of our projects, and we have spent many hours researching the best elephant projects in Asia. Once we have done our research online, we then speak with prospective projects on the phone and then conduct a visit to learn more about the elephants. It is only once we have personally visited a project and checked the welfare out ourselves that we will send volunteers.